The Bay of Plenty Horse Trials at Rotorua this coming weekend is well situated to attract competitors from throughout the North Island, with valuable points to be earned in five of the six ESNZ Eventing series. For many of the more than 300 entries, including some from the South Island, it is their final run before heading to the Puhinui Three-day Event in Auckland on 6-9 December, which is the culmination of the spring season, and marks the halfway stage in the year long series. The top class is a CNC2* Plus, sponsored by Pub Charity, comprising 3* dressage and showjumping and 2* cross-country, providing a confidence boosting run for the strong line up nine horses and riders before they tackle the CCI3* at Puhinui. All are experienced performers, so their form will be watched with interest. The Dunstan CIC2* class has thirty-one entries so competition will be keen, with series points on offer in the Mitavite Young Rider, Pro-Am, and Amateur series, all of which have had changes to their leader boards after each event to date. The current leader of the Mitavite series, Renee Faulkner, of Papakura, on Rubinstar HH, contested the Adelaide CCI4* last weekend, one of the youngest competing at that level, so they will not be at Rotorua. Cantabrian Lucy Turner on Carbon hold second place, but they were also at Adelaide contesting the CCI2*, so there is a chance for others to close the gap on these two. Combinations to watch will be winners from previous 2* classes this spring, Shannon Galloway on Day Walker in Northland and Abby Lawrence on Anonymous in Taupo, as well as Samantha Felton on Ricker Ridge Riley, and South Islander Larissa Srhoy on Rockquest, who were second in the Wairarapa last Sunday. 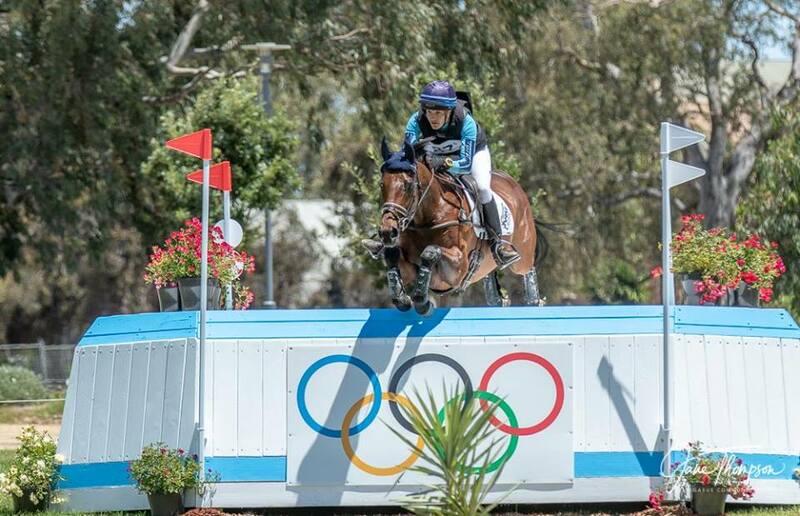 Amanda Pottinger returns from her brilliant performance in Adelaide where she was second in the CCI4* on Just Kidding, which has seen them take the lead in the ESNZ Eventing Super League, to ride the up and coming youngster, The Comedian. Monica Oakley has three horses entered, and is showing excellent form this season, so the class is full of quality contenders. Amanda Pottinger (Havelock Nth), Just Kidding, 54 pts; Donna Edwards-Smith (Te Kauwhata), DSE Cluny, 51 pts; Kirsty Sharapoff (Christchurch), Shoot the Breeze, 38 pts; Samantha Felton (Matangi), Ricker Ridge Rui, 38 pts; Matthew Grayling (New Plymouth), NRM Trudeau, 38 pts; Renee Faulkner (Papakura), Rubinstar HH, 30 pts; Nick Brooks (Cambridge), For Fame, 30 pts.